As a small business, it’s vital that your premises stay safe 24 hours a day, 7 days a week. The livelihoods of you and your workers depend on keeping your stock and services secure, and you have a duty of care to your staff. But while it may seem like many of the products on the commercial security market are designed primarily for large spaces, there is in fact a wide range of solutions for smaller premises available. In this article, we take a look at some of the options. If the ceiling in your commercial property is low, then it makes sense to avoid conventional security roller shutters. Instead, a more accessible option like a collapsible lattice gate allows you to lift up or lift out the bottom track for easy access when you come to open up. Another big advantage of a grille like this is that it offers you a secure way to take advantage of footfall even when you’re closed. Passers-by can see still see through and “window shop”, but the risk of a break-in is minimised. Small businesses often have a high volume of in-person transactions, and as a result, lots of SMEs go for store layouts which incorporate kiosks or bar areas. One way to keep your counter area secure is with an aluminium retail security shutter. It offers the best of both worlds, as not only does the specially shaped metal provide security, it also allows light and vision to filter through for smooth and pleasant face-to-face transactions. For security shutters London, speak to us at Abacus. One of the most cost-efficient small business protection methods on the market today, burglar bars are a popular choice because they don’t require planning permission. 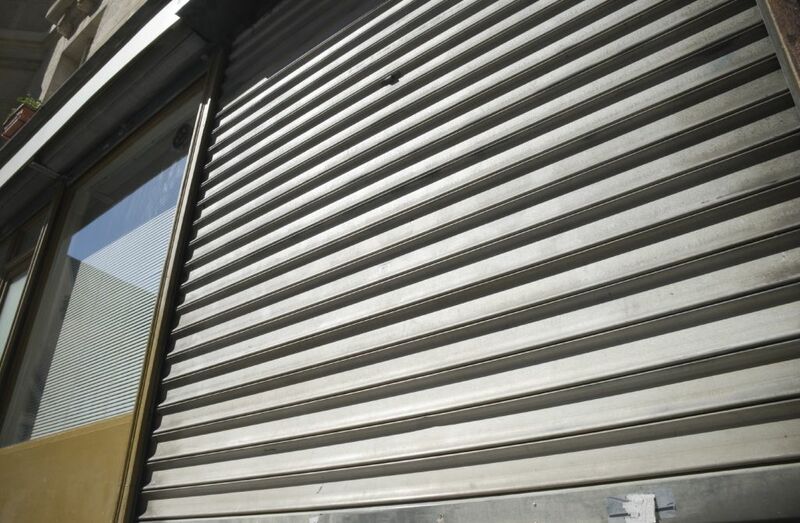 At Abacus Shutters, our burglar bars are made out of solid steel and are able to rotate to prevent an attack from the common tools of thieves, such as hacksaws. Here at Abacus Shutters, we provide all of these products and more. Contact us today on 0845 644 1225 or email sales@abacusshutters.co.uk to find out more.